There is an opinion among people that if one has a talent such a person must have been gifted since birth. If someone cannot sing, for example, he may say to himself that he will not learn how to sing because he is not gifted. By the law of "cause and effect" it is not possible to be able to sing without previous practicing. Thus, if a genius soul is born, special aptitude had to be developed before birth. It is very naive to say the opposite. Stories of God's gifted people are spread only because of laziness. It is easier to talk about "God-given" talent - many times with open jealousy - than to put effort into something, cultivate your own skills and overcome idleness! And particularly this type of people neglects their God-given talent. There is nothing that cannot be learned, and there is no talent which cannot be obtained and mastered. Anything is achievable if there is volition and determination. Unfortunately, many of us create a mental barrier before starting to learn something. "I am not able to do that, I do not have talent for it..."And many others daily repeat: "...in word, deed, or thought..." it seems that they are not aware of practical impact of the words; in turn, they use power of faith for their disadvantage. Another source of failure is the desire to get everything immediately and for nothing. To achieve something requires putting someone's effort into it. Jesus' words "...knock and the door shall be open unto you..." cannot be interpreted: "...wait until you will get" but "knock" - be active, partake, and endure to reach your goal. Then the door shall open. Spoken words reflect whether desire is honest and serious. There is a big difference between "I want to know" and "I want to learn". One who wants to know would like to be already at the end of a goal but one who wants to learn is willing to step on the path toward a goal. There is nothing achievable without self-effort and hard work. There are usually small steps and persistent endeavor (not a great talk) that create a great thing. Reason for such activity is very important. The reason for being a musician can be driven by the desire to become a famous, well-known, established person with feelings of superiority, or it can be driven by music itself. Music can be comforting or it can be exalted to the spiritual level, replenishing hearts of listeners by Creator's love, by something which is deeper than just pleasure of good music. Motivation is fundamental purpose of deeds. Personal desire conveys also spiritual power which is necessary to achieve a goal. It is driven in the same direction as the true, honest purpose regardless of how the real goal is masked or adorned. It happens many times: somebody picks up an instrument and fails to play a melody. 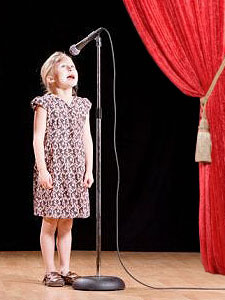 The player puts it away within couple of minutes, even seconds, saying: "I do not have talent". It is naive to assume that you can master an instrument in such a short time. But if a person pays attention and will not believe that s/he will become a virtuoso immediately, it is possible that after some time s/he will make a nice tune. It seems s/he must have a talent, but reason for success is elsewhere and simple. He would notice that if his finger-hole closing on whistle is wrong, it will make shrill sound. If he would cover holes properly the sound will be clear and nice. If he would notice that opening hole by hole from the end of the whistle makes higher sound, he discovers how to play a scale and therefore melody. Only by accurate blowing, too, is a nice and harmonious tone made. Blowing too strong would cause a higher tone, blowing less than necessary would cause a wobbly tone. It is obvious that a player who pays attention has to notice this. But if someone wants people to be attracted by him, he will not notice such a trifle as a wrong finger hole closing. He is preoccupied with himself, his outlook, thoughts of other people and words about him. He does not pay attention to an instrument. Obviously, he fails to play. Success can be achieved after all by awareness and focusing on current activity. You might dispute that ability to be focused on, too, is a talent for which one can or cannot be gifted. Concentration is essential for human beings. If you want to do something properly, you have to be conscience and pay full attention to it. You will enjoy what you do; you will thrive and spiritually grow. And after you master your art you will obtain personal assets and possessions and you can be born with this gift again. Little things make a master the master (not details - that would be perfectionism). Those little things are essential and very important. They cannot be omitted. Here is an example for better understanding. When a carpenter uses a chisel it needs to be done in a correct direction in order to slide the sharpened edge along with wood fibers. If it would be done in opposite direction, wood would sliver and surface would be rough. Everybody who has ever done this knows that if a wood slivers that means the chisel is used in opposite direction. Wood has to be turned in the right direction. Some carpenters turn wood around this way all their lives, because they do not see these "little things" that would show them correct direction for chiseling. These are annual rings on wood. They converge on one side showing the direction for cutting as an arrow. These little things, which actually represent the basics, are in every art, craft or virtuosity. They open a gate for seeing and knowing; therefore they make a path towards mastery or virtuosity. The key from the gate is consciousness and sensibility. Another reason why some people are successful is motivation. If achievement is of a generous nature, it creates beautiful lucid radiation and according to the law of uniformity it will be blessed. Desire which is enlightened by true yarning to help others or to relieve ailment will be connected with enlightenment on the same level. It will generate inspiration. The mind will be innocent and enlightened by good and surprisingly simple ideas. Clear inner experience will strengthen a spirit which will help it to be more focused, aware and sensible. The work will flourish even if it will be done for the first time. Success will be obvious after a few days compared to others who perform the activity many years. Every person carries inside some spiritual spark as an essence of being. No one was created with perfection or being less perfect. We differ from one another by how we manage and develop our spiritual awareness and eventually our earthly skills. Do not waste time by admiring others but dare to take a move forward.